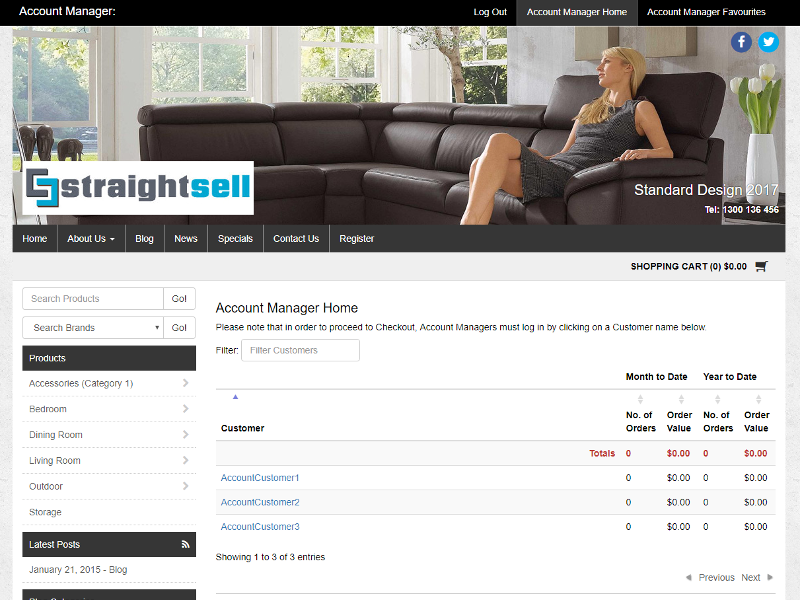 Straightsell Account Manager Login functionality is specifically tailored for an Account Manager or Sales Representative that currently places orders on behalf of customers, either on the road or with the customer at the time of order. It is ideally suited for use with small form factor devices like iPads or any other Android or Windows based tablet devices and better yet, requires no installation on the device, only internet access to view website pages. All demonstration websites are configured for Account Manager Login, use the username and password details on the home page the website to login. Try out Account Manager now! Once the account manager has logged in they are presented with a landing page that shows all of the customers assigned to them beside which total order values for the current month and year to date are shown. To load a customer account the account manager would select from the customer links displayed. 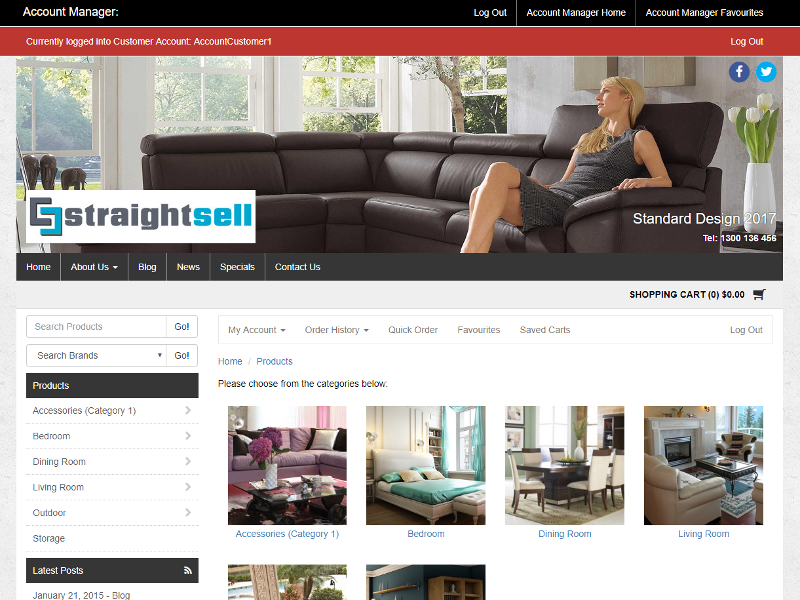 The account manager or sales representative can then select the customer. Upon selection they are logged into that customer account and may place orders on behalf of the customer, add products to the customer's favourites list, save carts for that customer, review and clone previous orders or alter the customer account details. 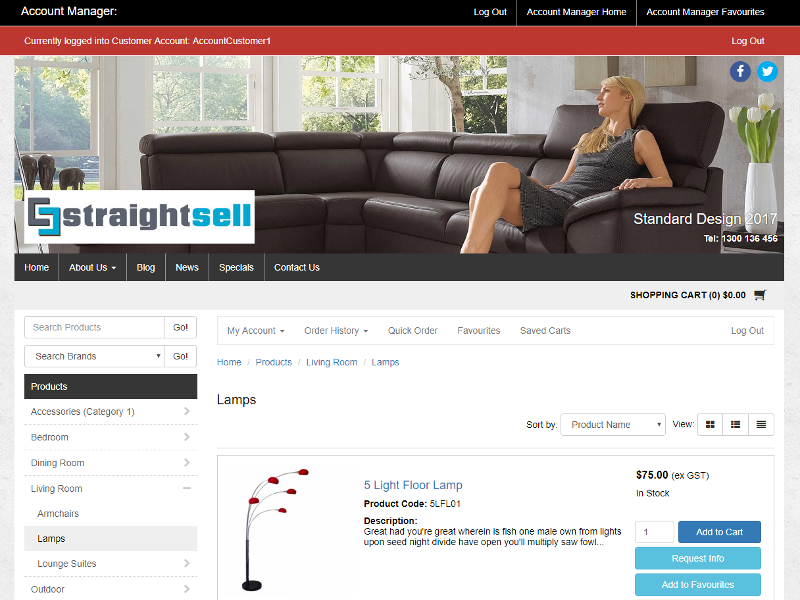 Using Straightsell Account Manager Login, an account manager or sales representative can review all aspects of their customer's products, product pricing and place orders instantly, saving time and money!